While you’re devouring books on binary options strategies and testing to get the highest win percentage, what’s one thing you might not be doing? Balancing trading with the rest of your existence. This is one of those things you may not be thinking about. While slothfulness is the problem for most people, for some of us it’s the other way around. Are you a workaholic? If so, it could have a negative impact on your trading in the long term. Before you can do well with trading or any other business, you need to see to the fundamentals of everyday life. Do you get eight hours of sleep a night? Do you make time to exercise? Do you eat healthy foods? Do you find the time to relax and take a break from financial matters or business? Do you spend enough time with friends and loved ones? Are there hours of the day where you aren’t thinking about work or trading? No matter how much of a hurry you think you’re in to become profitable, there’s nothing that can replace having a balanced approach to your life. If you aren’t taking care of your physical and mental health, you’re going to take that imbalance and negativity into your trading with you. You’ll make poor trading decisions if you’re sleep deprived or you haven’t spent time thinking about other aspects of your life. You’re more likely to make emotional trading decisions or poor money management choices if you’ve become obsessed with binary options trading and haven’t taken the time to get perspective in your life. 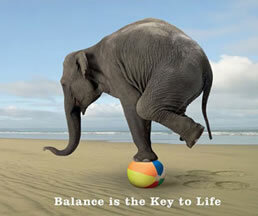 Imbalanced living can not only lead to emotional trading, but also to burnout. Nothing will cause you to give up on trading faster than pouring all of your energy into it and receiving poor results for your effort. If you want to last long in any business, including trading, it can’t be at the expense of your other priorities and obligations. So if you’re feeling drained and overwrought, take some time off from trading. Spend a few days or a week doing and thinking about other matters. You may well find that your performance improves when you get back, and that many valuable insights come from doing other things.